Today they are synonymous with classic British tailoring, but what are surgeon’s cuffs and kissing buttons? Oliver Brown proprietor, Kristian Robson, explains. World-famed for tailoring, in its’ previous incarnation over a century ago, Savile Row was in fact home to surgeons. As the surgeons moved out and the tailors moved in, the latter worked for the former creating their suits - and an essential element for the surgeon’s jacket was working cuffs. This allowed him to roll back his sleeves and attend to patients. 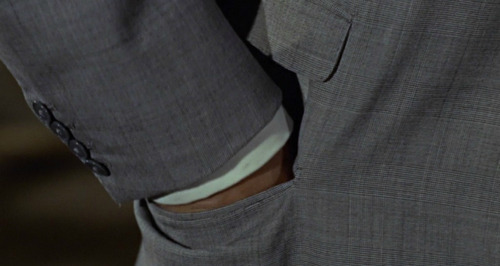 The name has stuck, and today a cuff with working buttons is still known as a surgeon’s cuff and is a marker of superior tailoring. The working cuffs indicate that the jacket is of bespoke or equivalent quality, and provide a sartorially subtle detail for the discerning. The tailors’ term ‘kissing’ buttons means the buttons touch each other. To make things just a little more interesting, European fashion also favours ‘kissing’ buttons to be ‘waterfall’. In English? This means the buttons are slightly overlapping, but the British tradition is to have the buttons just gently touching. The details are small but are as they say the ‘devil is in the detail’. Oliver Brown ready-to-wear collections are crafted with surgeon’s cuffs and four kissing buttons, and the Made-To-Measure and Bespoke jackets are tailored with surgeon’s cuffs as standard.